Sparkling Adventures -✯- Grumpy toddler? Just add water. 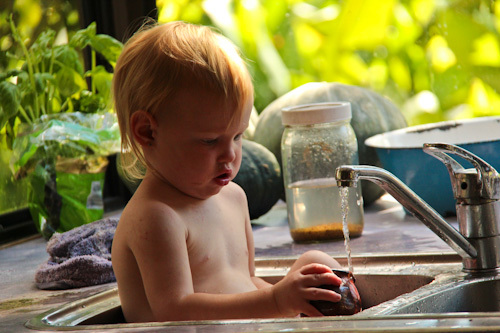 We're thankful for the opportunity to let 2yo Delaney play with water in our friend's house. Oh yes!One of the HUGE advantages of bringing up (or teaching)children in the tropics. Water play? Never a problem!